Today is the 20th anniversary of one of the most infamous events in American sports history … the start of the major league baseball players’ strike in 1994 … a strike which ended the season without playoffs or a World Series for the only time in MLB history … and which denied San Diego Padres right fielder Tony Gwynn a shot at a .400 season (he was batting .394 at the time of the strike) … and San Francisco Giants third baseman Matt Williams a chance to break Babe Ruth’s single season home run record (Williams had 43 when the strike ended the season). It was a sad day for all baseball fans … many of whom … myself included … said that if the players ruined the season, they would never come back. Most didn’t mean it … or at least didn’t follow through … but I did. 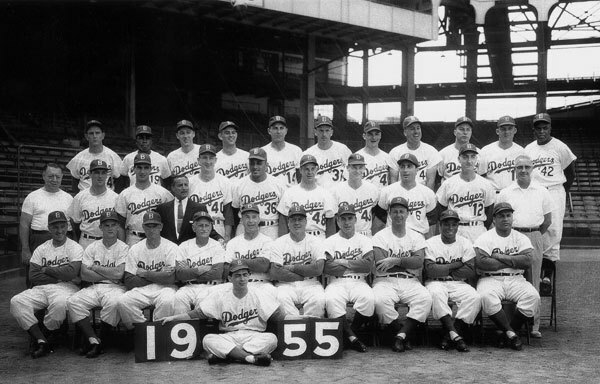 I became a baseball fan in 1952, when my paternal grandfather began taking me to Brooklyn Dodgers games. 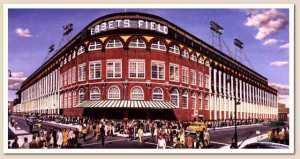 My Dad was a Yankees fan … but he had to work most days during the summers … and Grandpa was free to go to Ebbets Field whenever he wanted. It was a short trip for me from my hometown of Lindenhurst, on the south shore of Long Island, to meet with him in Jamaica Station … and then for the two of us to take the subway to Brooklyn. 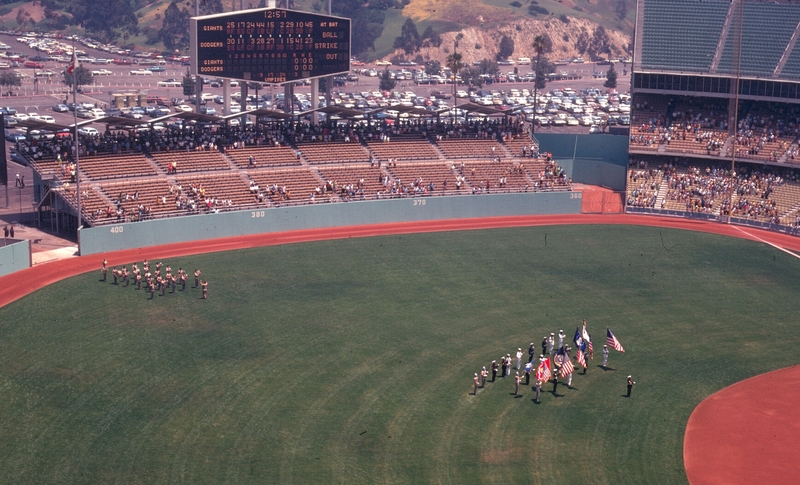 As a result, I became a staunch Dodgers fan … and got to see many exciting games … and players … at Ebbets Field. I was fortunate to see the Brooklyn Dodgers at their very best … National League championships in 1952, 1953, 1955 and 1956 … and, for the first time since they were the Brooklyn Robins in 1920, World Series winners in 1955. Not only could I recite the Dodgers lineup from memory, I knew the batting averages, home run totals and won-lost records for the Dodgers stars. My favorite players were right fielder Carl Furillo and center fielder Duke Snider, but not far behind were the rest of the stars … shortstop PeeWee Reese, first baseman Gil Hodges, second baseman Jim Gilliam, third baseman Jackie Robinson, catcher Roy Campanella, and pitchers Carl Erskine, Johnny Podres and Don Newcombe. … and on July 31, 1954, when Milwaukee Braves first baseman Joe Adcock set a major league record for total bases in a nine inning game by hitting four home runs and a double … and missed hitting five home runs by less than a foot, as the line drive double hit the top of the outfield wall. When I was not at a Dodgers game in those days, I often watched them on TV or listened to the game on the radio … and I still remember watching Podres pitch a 2-0 win over the Yankees in the deciding game of the 1955 series … the final play of which was a ground ball by Yankees catcher Elston Howard to Reese, who flipped the ball to Hodges at first to end the game. … until I moved to the San Francisco Bay Area in 1985. Living in the Bay Area meant that opportunities to see the Dodgers in person were limited … but I (now accompanied by my wife Sandy and kids, Doug, Matt, Risa & Sean) made it to as many Dodgers-Giants games at Candlestick Park as we could manage … and two of the last three games of the 1988 World Series games against the Oakland A’s at the Oakland Coliseum. … which included a visit to the Dodgers locker room for Jerry, Doug & I … and marked the start of a series of annual dinners with Tommy during Dodgers visits to San Francisco … dinners at the famous Fior d’Italia restaurant … to which Tommy always brought players and coaches … including Orel Hershiser, Kirk Gibson, Billy Russell, Mike Scioscia, Joe Ferguson, Mickey Hatcher and many others. We continued attending Dodgers-Giants games up to and including the 1994 season … in May of which the Dodgers played a four game set against the Giants … and we made all four games … and enjoyed a visit after the first game with Tommy, Hershiser, Russell and the incomparable Vin Scully. 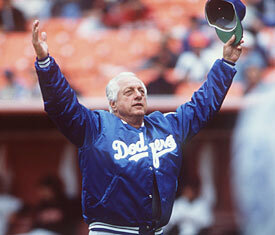 I had to miss the first two games of a three game set in July … but attended a 4-1 loss to the Giants on July 27, 1994. Little did I know that it would be the last major league baseball game I would ever see. As the players and owners approached the strike deadline of August 12, 1994, hard-core fans were adamantly opposed to the strike … but neither the players nor the owners appeared to care at all about what the fans thought … I was prepared to accept a short strike, followed by resumption of the season … but told my kids that if the players struck and ended the season, I would not forgive and forget. They did … and I didn’t … the season was ruined … no playoffs, no World Series … animosity and acrimony dominating the conversation on both sides. And when it was finally announced that the season was being cancelled, I said, “that’s it, I’m done”. Done I was. I have not been to a major league baseball game since. I have not watched a game on TV or listened to one on the radio … baseball was dead to me … in recent years, I couldn’t name a single Dodgers player … I have no idea which team won the World Series last year … or any other year since 1993 … and don’t care. There is, however, a bright side to what is otherwise a sad story … I took the zeal with which I had rooted for the Dodgers for more than 40 years … and transferred it to No. 1 son Doug’s alma mater football team … the California Golden Bears. We have now been attending Cal football games since Doug was a football team manager during the 1991 and 1992 seasons … rarely missing a home game … and traveling to many away games.